Good times for quality production: modern measuring technology is delivering more and more precise measurement data, which is being read out and interpreted automatically to a greater extent than ever before. Suitable equipment, sound advice and intelligent software for these and all other QA requirements will be exhibited at the Control international trade fair for quality assurance in Stuttgart from the 7th through the 10th of May. 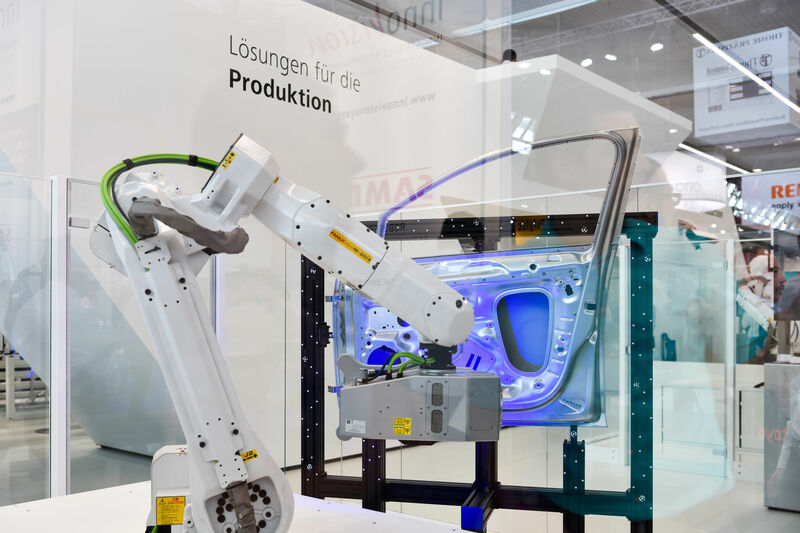 “Customers from the manufacturing industries not only expect accurate and reliable measurement data, but rather real-time visualisation of the data as well to an ever greater degree,” explains Professor Alexander Reiterer, department head at the Fraunhofer Institute for Physical Metrology IPM, and adds: “Application-specific, visualised data are like a tool with which all states can be reliably evaluated and processes can be intuitively controlled,” because without these measurement data – acquired by modern sensor and measuring technology and evaluated in just fractions of a second by intelligent software – quality assurance is not possible in real-time. “We observe that tolerances and structures are being checked more and more frequently within the manufacturing process. This trend is even apparent for 100% inspection,” reports Fabian Krüger, Control project manager. Suitable interfaces, technologies and methods are required in order to display measurement data at mobile devices such as tablets and VR goggles. A software platform with components for interactive interpretation and visualisation of measurement data should also be available. Industrial image processing, one of the main focal points of the world’s leading trade fair for quality assurance, plays an important role in this respect. Current research is also focusing attention on data reduction, in particular with regard to the visualisation of so-called point clouds which are generated during measurement and data recording with laser scanners. Enormous amounts of data must be reduced to volumes which can be quickly processed. Exhibitors who have a special interest in imaging QA processes will find numerous innovation projects at the globally recognised number 1 event for industrial quality assurance, which will be unveiled to a broad-based expert audience for the first time. The new developments will be accompanied by well-established, optimised systems. Specifically interested exhibitors will also be provided with practical support by the Special Trade Fair Guide for Industrial Image Processing and Vision Systems, which can be accessed online. More than 250 manufacturers and distributors of components, modules, subsystems and complete systems from the respective industry sector who will participate at Control are listed in the guide. And thus Control provides the largest, most international presentation within the field of industrial image processing and vision systems, so that expert visitors can gather information about current worldwide offerings for industrial image processing, vision and camera systems, as well as sensor technology including imbedded vision (miniature image processing systems integrated into machines and process stations). Interested parties who would like to get involved more deeply in the issue of vision systems and industrial image processing are advised to attend the corresponding series of talks held by the European Machine Vision Association (EMVA). The tried and true Control collaboration partner will hold numerous presentations on this subject matter, already for the fifth time, at booth 6515 in hall 6. Participation is of course free of charge.